Recent Posts How Much Does a Surgical Table Preventive Maintenance Program Cost? How Much Does a Surgical Table Preventive Maintenance Program Cost? We’ve all heard the saying, “If it ain’t broke, don’t fix it.” But we’re telling you from experience, this is not a good thing when it comes to surgical table preventive maintenance! Surgical tables are more complex than ever and have many moving parts in addition to a more computerized system. Parts are more complex and specialized than ever, in comparison to their predecessors. In this article, we are going to discuss the different factors that influence preventive maintenance programs. At the same time, we’ll also try to give you a better idea of what type of maintenance program is best for you. If you’ve owned a car, you know that there are pre-determined intervals for changing the oil and filter. We all know what happens if you don’t change the oil. Either the oil will become so dirty and old that it will damage the engine, or it will run out completely and destroy the motor. The same applies to a surgical table. Performing preventive maintenance ensures that the table is properly adjustment, lubricated and calibrated. 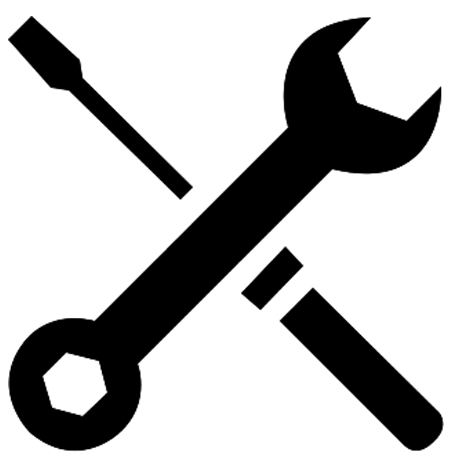 Regular check-ups and maintenance are essential for maintaining equipment in good working order. Investing a little in preventive maintenance results in reduced maintenance and overall operating room department costs. And just how you don’t want to get stranded in the middle of nowhere, you don’t want your surgical table breaking down in the middle of a surgery. The very first, and subsequently largest, factor that affects pricing is which level of preventive maintenance you choose, or which options you include in a customized maintenance plan. Before we dive into details, one item that we feel should be included in any preventive maintenance program you choose is detailed reports provided to you immediately following the PM visit. Obviously, every company that does preventive maintenance will have different options and features, comparatively. Some companies will offer you a prepackaged plan, while others will give you the option to customize. Since PM plans vary across the board, we’ve decided to list out individual options as opposed to levels such as bronze, silver, gold, etc. Typically two visits per year, approximately every 6 months apart, seems to be a good level of maintenance. If your equipment needs more than two annual inspections, it might be time to consider a more involved strategy of remanufacturing. Maybe you’re in a facility that has a lower surgery caseload and twice a year is not necessary. A good preventive maintenance plan will come with parts included. It may be a little more than a plan that only offers a discount on parts, but one minor part replacement would probably make up the difference. Is labour included in the PM program? Considering that hourly labour rates are the major cost of a service call, find out if labour is included. At the very least, there should be a discount. Are travel costs included in the plan? Is your facility within city limits, or is it rural? Determining travel costs, and if they are included, ahead of time could save you significant money before the technician walks through the door. A fairly important component is whether the service company is limited to only one manufacturer, a few, or is unlimited in its capabilities. Consider a company that can offer the convenience of being able to maintain all of your surgical tables as opposed to just a few. For example, no one hospital will be the same as the next. If the health authority has procured the service company, each hospital has different tables. It’s a good idea to confirm that the service company can work on the more common surgical table manufacturers such as Skytron, Steris, Maquet, Berchtold, Biodex, Midmark, Trumpf, etc. As a side note, with this consideration comes the question of company reputation and experience. Just like with all service industries, there will be the work-out-of-the-garage types in addition to established companies that have the infrastructure to handle larger demands. Sometimes you can find a business that allows you to upgrade to a more comprehensive plan after a certain amount of time. Since you’ll probably know ahead of time whether you plan to upgrade to a new plan or not, look for a maintenance company that offers you a discount on that upgrade. Be aware that the equipment may need to have an evaluation to ensure that there are no pre-existing concerns. Generally speaking, more established service companies will have more than one service or maintenance option that focus on other things not included in the preventive maintenance program. Signing up for a PM plan may make you eligible to receive a handsome discount on these plans, such as an equipment assessment plan where the actual current condition of the equipment is assessed in detail that a PM plan can’t give you. Let’s say that the technician finds a part that needs replacing on your surgical table, but they don’t have the part on hand. How long is it going to take them to get it; and even more importantly, how long will it take to come back and fix it? We all know how frustrating and expensive it can be when something unexpectedly goes wrong. Ask potential service companies about their response time to unscheduled service calls. Let’s face it – sometimes bad things happen even though we take precautions. Once in awhile, we’ll see the rare event of a surgical table under preventive maintenance break in such a way that a major repair is required. While the major repair probably won’t be covered under a PM plan, you might be able to get a loaner table at no cost (other than shipping) while your table gets remanufactured. Check with your potential vendors as there may some stipulations, such as needing to be signed up to a comprehensive maintenance plan. While the above points are directly related to cost, we thought it important to include a few other non-cost points that might help you distinguish the value amongst the differing preventive maintenance plans. Does the service company offer the ability to complete any potential follow up repairs required, or do they leave it up to you? Does the company make the experience of its technicians readily available? 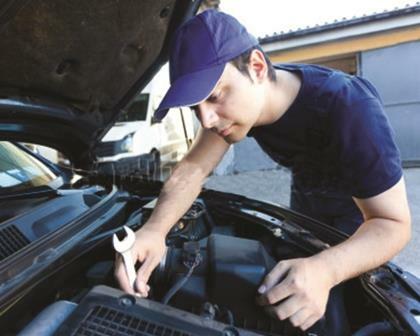 Does the maintenance work meet OEM recommended maintenance and safety standards? Now that we know the main options available to us, let’s talk about the cost of a PM plan. *Keep in mind that these are based on a few selected options for illustration purposes. Meditek offers a 10% discount off parts, labour and travel for unscheduled service calls for any customers signed up with a PM plan. Typically, we see the cost of these plans range anywhere from $750 to $1,500, depending on your geographical location and the volume of equipment being signed up. Costs for an all-inclusive plan can vary widely depending upon the service provider and their competence levels. Typically though, we would see that an all-inclusive plan costs are a minimum of 2x to 3x what a Standard Plan costs, due to the fact that the service provider is now assuming full responsibility for the equipment. All-Inclusive plans are not very popular with either the hospital or the service provider. For the hospital, it is a much larger investment, and you may very well not require a level of service and parts replacement that would justify the investment. For the service provider, this is also not a preferred option as it creates uncertainty and the potential for unexpected costs. Additionally, vendors will typically require the equipment to be on a more basic plan for a period of time before they will take full responsibility for it. Remember, the above plans and pricing are simply a guide and a reflection of what we see from the marketplace; they vary from vendor to vendor. Since 1981, Meditek is proud to employ expert technicians, some with over 30 years of experience. Having started out as a family business, Meditek takes it reputation personal, and as such hold the responsibility of providing an exceptional customer service experience very close to the heart. Meditek is constantly investing in its employees to make sure that they have the technical expertise to carry out preventive maintenance on surgical tables from any manufacturer. If you have any immediate questions about how much a surgical table preventive maintenance will cost you, please call us directly at 1.800.567.8400. Fill out the Preventive Maintenance Questionnaire below to see which plan best fits your needs!